LIVE IN EMERALD CITY, ONE OF NORTH YORK'S LARGEST MASTER- PLANNED COMMUNITIES. FIFTH ON THE PARK IS THE DEFINING MOMENT OF EMERALD CITY. Fifth on the Park condominiums is close to Fairview Mall and surrounded by dining and entertainment centres. 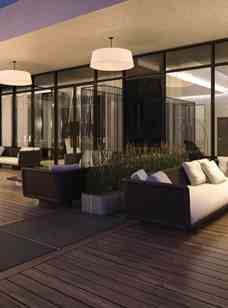 Amenities include a grand lobby, concierge, fitness centre, indoor pool, games room and ext. Pier ELAD CANADA’s holdings are primarily located in the key Canadian markets of Toronto and Montreal. The Nordelec project, near the historic Lachine Canal in Montreal, is poised to become the focal point of a vibrant community complete with small shops and a marketplace. The Cite Nature, also in Montreal, is comprised of multiple condominium buildings in a village setting. Emerald City is one of ELAD CANADA’S most significant developments. 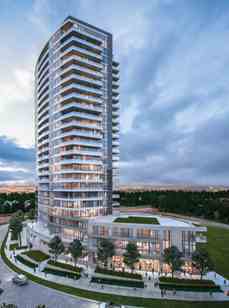 Fifth on the Park Condos is a new condo development by Elad Canada currently in preconstruction at Don Mills Road and George Henry Boulevard, Toronto. It has an easy access to Don Mills subway station for commuting by TTC and highway 401 & 404 for travelling by car.